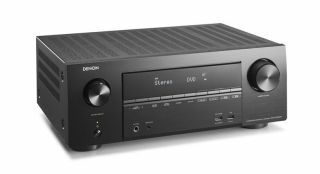 Save £170 on five-star Denon AV receiver | What Hi-Fi? What better way to start your week than splashing out on a room-shaking surround sound amplifier? We scour the web for the best UK deals on everything AV, and today we've spotted a tidy saving on this excellent Denon AVR-X2500H amplifier. The five-star rated home cinema amp was originally on sale for £549 but you can now find it for just £379, a hefty reduction of £170. Denon's entry-level AV amp sounds fantastic for the price. You won't be short of features, with eight HDMI inputs, Dolby Atmos and DTS:X support and wireless streaming from the likes of Spotify, Tidal, Deezer and Amazon. There's even Alexa voice control, too. Check out the full details of the deal below.